My dining room table is inevitably the place for everything: eating all of our meals, homework study hall, and creating lots of arts and crafts. 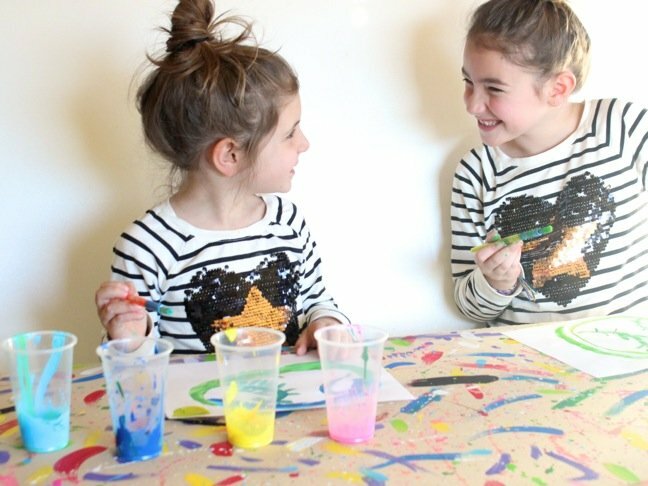 Despite my attempt to protect it with tablecloths and trash bags during colorful art sessions, it’s still riddled with nicks, paint splatter marks, permanent marker dots, glue, and glitter. 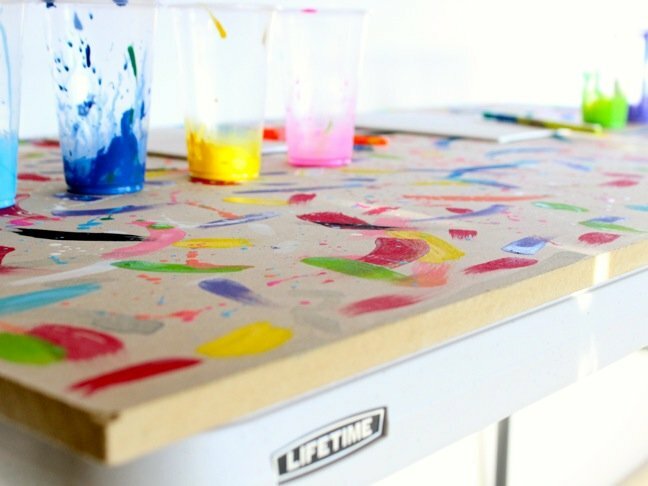 That’s why this genius folding DIY art table was such a life-saver. 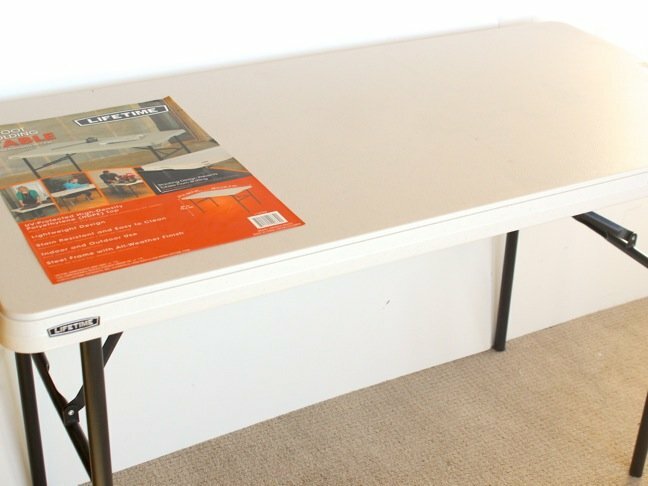 We don’t have a large house with extra space for a separate art table, but we do have enough space for a folding table that can be set up when needed, and then stored in the garage when it’s not in use. 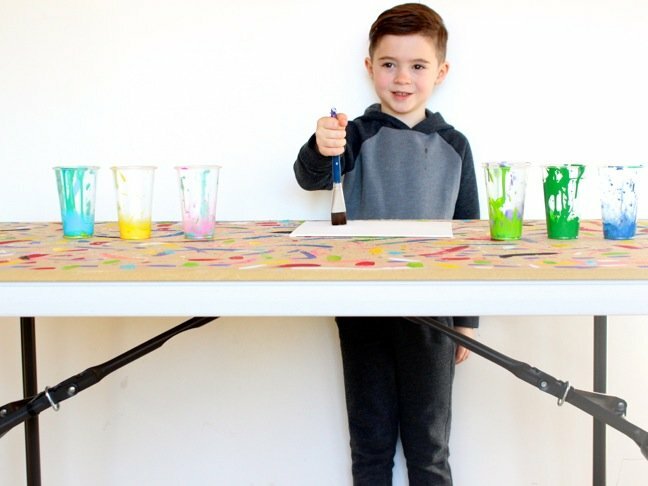 So, I upgraded a folding table to make a DIY art table for my kids. 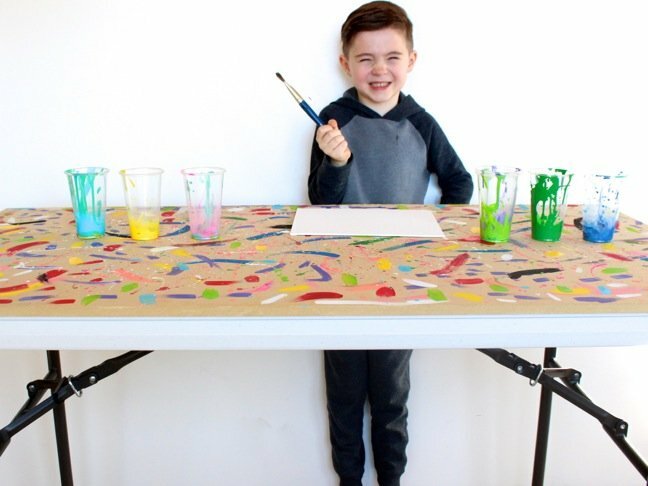 The table is a kid-friendly zone with paint, glue, and glitter covering it, and I don’t care one bit because it’s not ruining my dining room table. 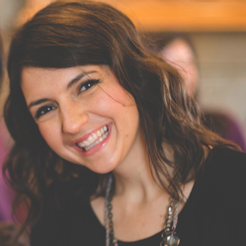 Want to protect your good furniture from taking a beating during arts and crafts time? 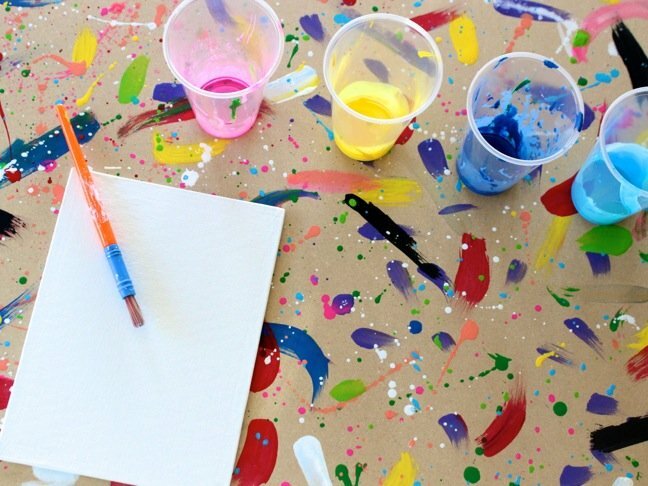 Follow the simple directions below to create your own DIY art table. 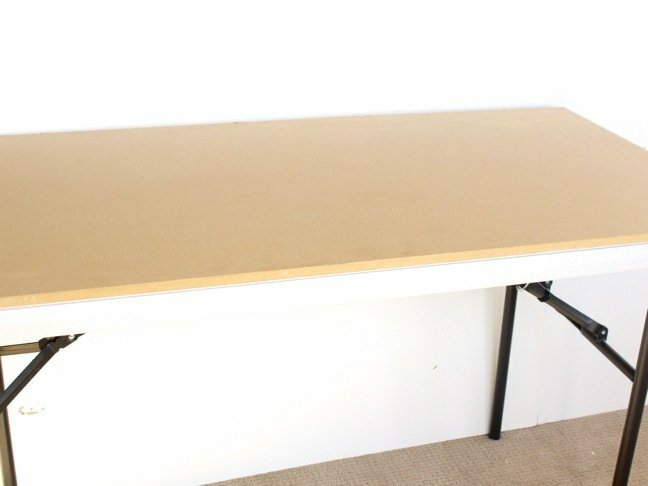 Step 1: Set up the folding table. 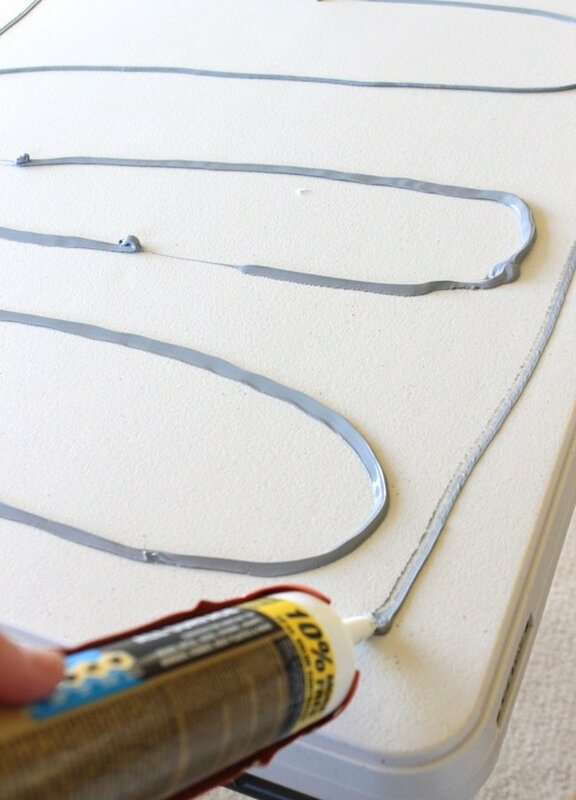 Step 2: Liberally apply liquid nails on top of the table. 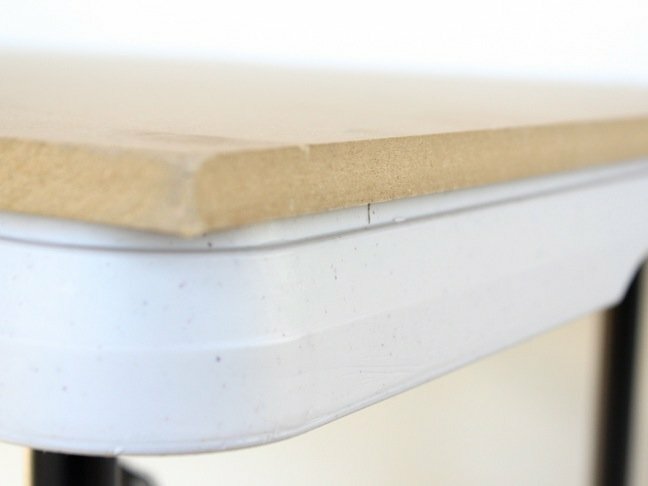 Step 3: Place the fiberboard on top of the table. Adjust the wood as needed so it’s centered. 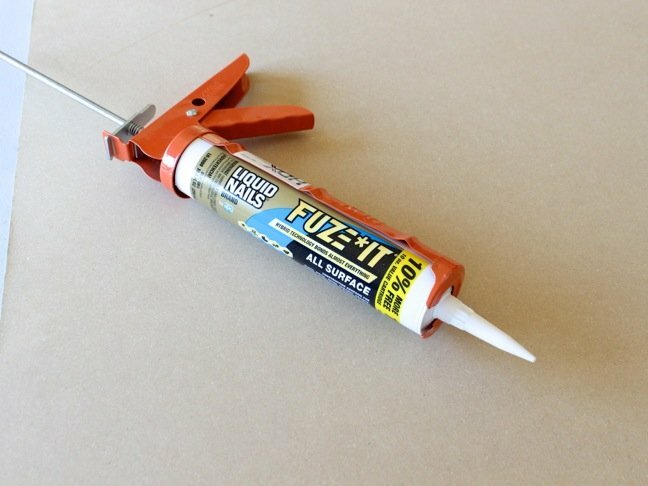 Follow the directions for Liquid Nails regarding dry time and binding tips. Note: We used this type of wood because it was affordable and Home Depot has it pre-cut, so it fits the folding table perfectly without any extra tools or cutting steps. 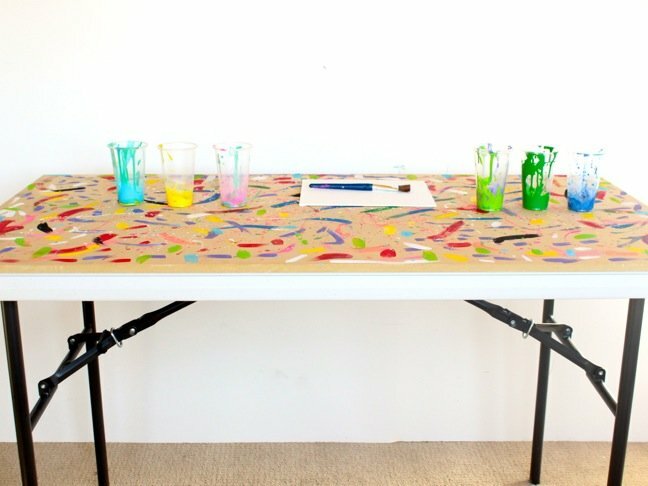 The wood prevents paint from flaking off the plastic tabletop. 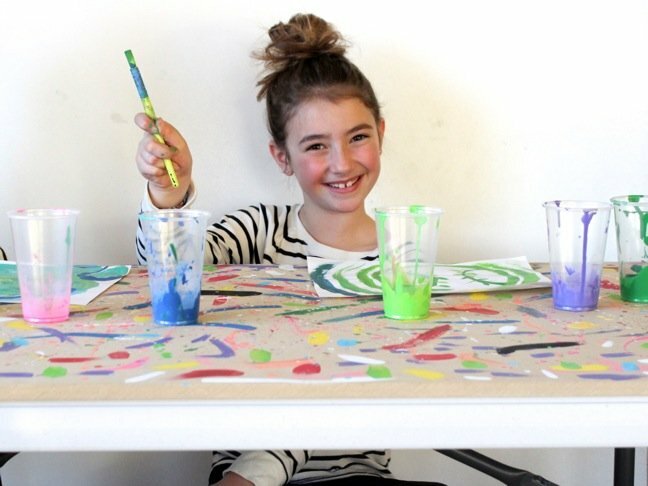 Step 4: Set up and paint—it’s that easy. Once the kids are done, move the table out of sight. 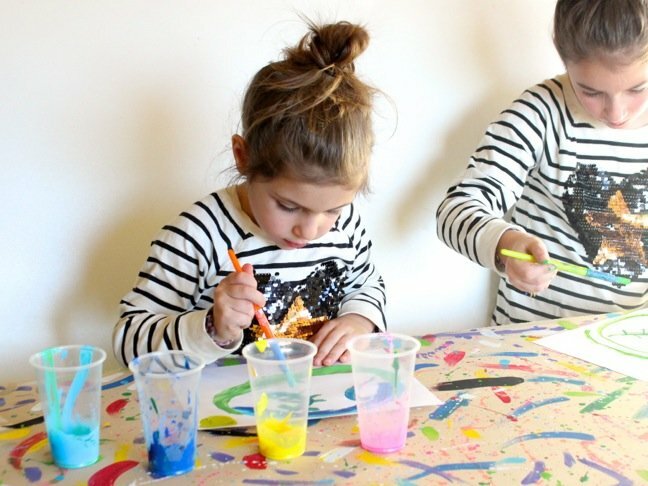 When the kids are ready to tap into their artistic sides, you can easily set it back up.